Reports that PASA Belize Limited suddenly informed the Solid Waste Management Authority that they ceased operations caught many by surprise. PASA operated the solid waste transfer stations located in different municipalities across the country. 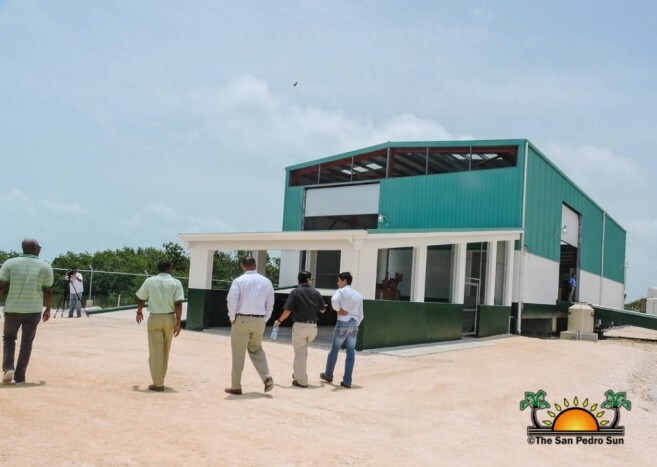 The halt in operations took effect on Monday, January 9th, affecting transfer stations located on Ambergris Caye, Caye Caulker, San Ignacio/Santa Elena, Burrell Boom, and Belize City. On Ambergris Caye, local authorities have been monitoring the situation. An official press release was issued on Tuesday, January 10th, wherein the Government of Belize and Belize Solid Waste Management Authority assured the municipalities and general public of their efforts to contain the situation. According to reports from the local Belize City media, there is contention between PASA Belize Limited and Belize Solid Waste Management Authority originating from an erroneous clause in their contract. As of press time, the matter has become a legal issue. The idea that the transfer station in San Pedro Town may not be able to ship out garbage from the island due to this situation is raising concerns. The San Pedro Sun caught up with Mayor Daniel Guerrero to find out how they are preparing to address the matter if the issue is not rectified. Guerrero indicated that the issue does not fall under The San Pedro Town Council’s (SPTC) jurisdiction; however the island’s garbage is taken to the transfer station located in the southern part of the island. Guerrero stressed that garbage collection and the town’s sanitation works will continue as per normal. “It is highly unlikely that residents will be affected by this situation between these two companies,” said Guerrero. “So far, the transfer station on the island has not stopped receiving the garbage that is being collected, so we will continue taking all the waste to the station until we are told not to do so.” Guerrero stated that they will be monitoring the situation, but for the meantime nothing will change. If the situation does not change, and if the transfer station on the island shuts down, then according to Guerrero, they will fall back to what they used to do before. “We will find other alternatives in order to get rid of the trash if the station stops operating. We might have to start burning the trash as we had done in the past. However, we hope the situation between those two parties is cleared up soon,” said Guerrero. For the time being, The SPTC assures residents that their sanitation department will continue their normal operations. All scheduled garbage pick-ups will run as per normal, while they keep an eye on any updates regarding this issue.